The crisp fine edges of the Britton collection will bring a touch of style and luxury to any modern bathroom. All Britton Bathrooms pottery is covered by a 25 Year Guarantee. 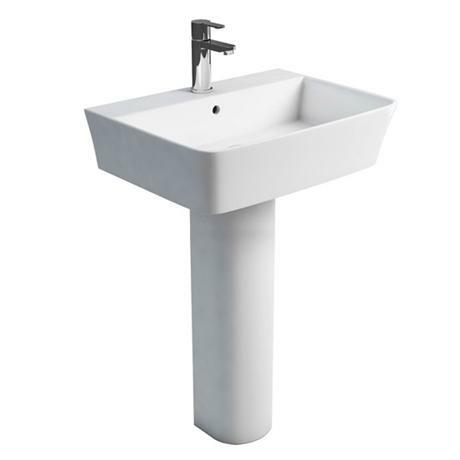 The tall pedestal creates a basin that is 6cm higher, to give an overall height of approximately 90cm - This helps taller and older people as it reduces the need to arch your back.